Most references to the Bois Caïman ceremony in music are positives ones. As the event led by the vodou priest named Boukman that launched the slave revolts in August 1791 that led to freedom and independence from France in 1804, it is used as a symbol of resistance. 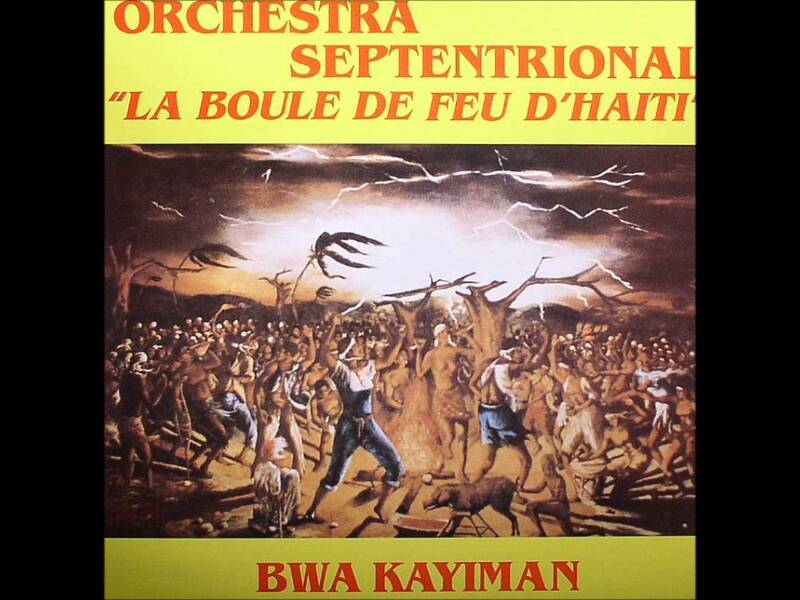 Roots music in the 1970s referred to the ceremony as a way of showing that they were resisting the Duvalier totalitarian regime like their ancestors resisted their oppressors almost two centuries earlier. In response to the government’s subversion of the vodou religion as a way to control people and its association with violence, the social and cultural “mouvman rasin” also re-appropriated vodou elements as part of the traditional Haitian heritage and incorporated them in its music. 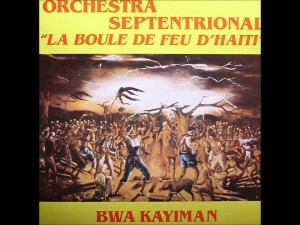 Bois Caïman, as a secret gathering of slaves born in Saint-Domingue or Africa is also used in music as a symbol of unity of the Haitian people as a whole and throughout the centuries, linking contemporary times to the late 18th century and the heroes of the Haitian Revolution, but also to the other Caribbean islands and Africa. As it is often the case with tragedies, the earthquake that hit Haiti on January 12, 2010, boosted proselytism.6 In this New York Times article from Feb. 15th, 2010, journalists Marc Lacey and Ian Urbina quote Todd Johnson, director of the Center for the Study of World Christianity at Gordon-Conwell Theological Seminary who “said there were about 1,700 missionaries permanently based in Haiti. The number of missionaries making short-term visits is more difficult to estimate, but some organizations say it is as high as 10,000.” In addition to declaring that the Afro-Haitian religion has no spiritual foundation, some Christians went as far as blaming the Bois Caïman ceremony for angering God and causing the earthquake. On the very next day after the earthquake, evangelist Pat Robertson argued that Haiti was cursed due to the pact the slaves and Boukman made with the devil when they held the Bois Caïman ceremony and swore to either live free or die. He also argued that the earthquake could be “a blessing in disguise, [because] there may be a massive rebuilding of that country.” The evangelist probably had in mind that part of the rebuilding of the country would actually take place on the religious field through a “rebuilding” of beliefs. Following his argument, since the slaves who got together for Bois Caïman “swore a pact to the devil” and said “we will serve you if you get us free from the French” – “true story” he adds -, which explains why “they have been cursed by one thing after the other,” and why Haiti is “in desperate poverty” whereas the Dominican Republic is “prosperous, healthy, full of resorts, etc.” Such a simplistic shortcut is beyond unfortunate and shows how poorly informed about history Pat Robertson is. To read more about Bois Caïman as a curse or “culture,” go to this page. Want to cite this page? there is no curse, just a systematic GRUDGE against the first independent Black Revolt against European powers (3, English, Spanish, french) of that day. Kara Walker, "Middle Passages #5"